Gummy bears are a super fun, yummy treat. Do your kids love them as much as mine do? 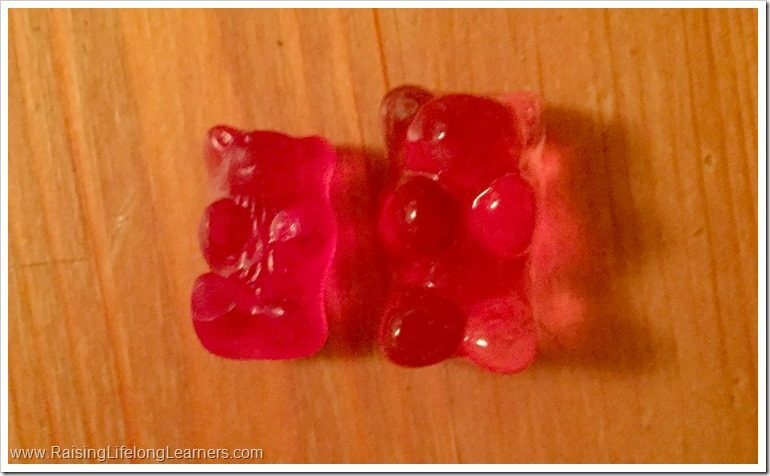 Since I’ll take just about any excuse to indulge in this candy, I pulled together a tasty gummy bear science activity inspired by this week’s Early Childhood Education team theme of teddy bears. 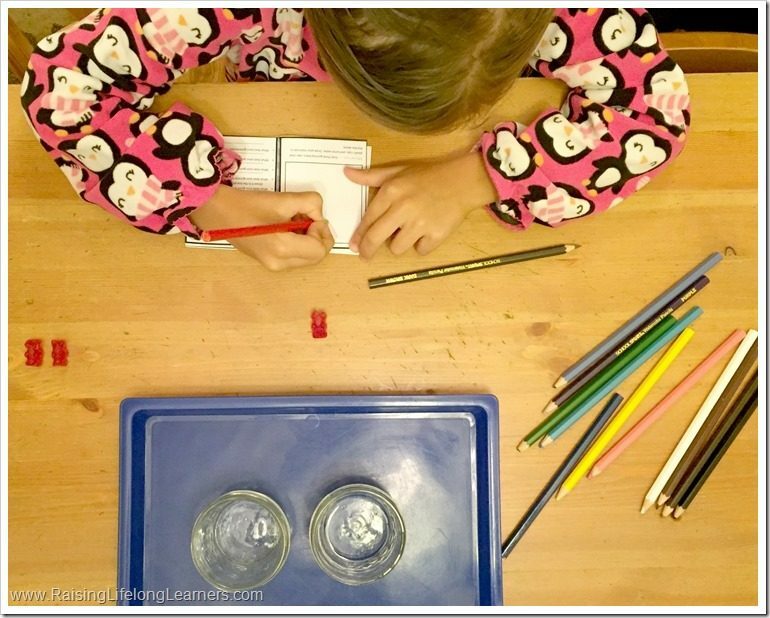 Don’t be fooled, though… While I wrote this activity and created a free downloadable science journal for your gifted preschoolers (and mine), this is great science for your littlest ones as well as your biggest ones. 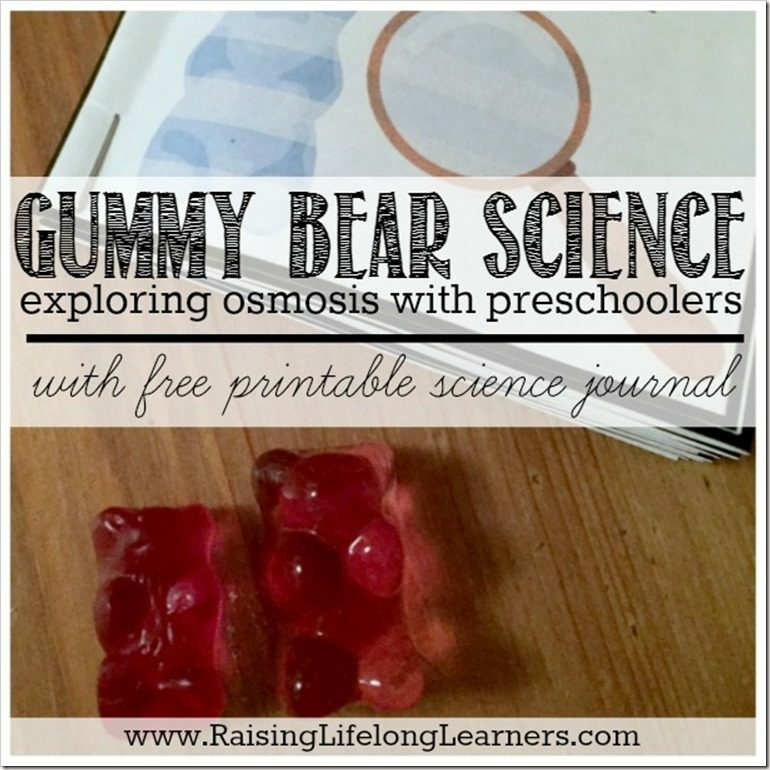 You can take it all the way to osmosis – water transferring through a membrane (like a cell wall) to a place with lower concentrations of water molecules – or just stick with the basic observations – the gummy bear got bigger. Download the file that contains the printable journal below by entering your email address — once you confirm, it will be emailed stright to your inbox. Cut out each page, fold the spreads in half along the solid middle line, and tuck the blue ends into the journal cover. Staple it together, and you’re set with a pocket-sized science journal that takes your kiddo through the scientific method. 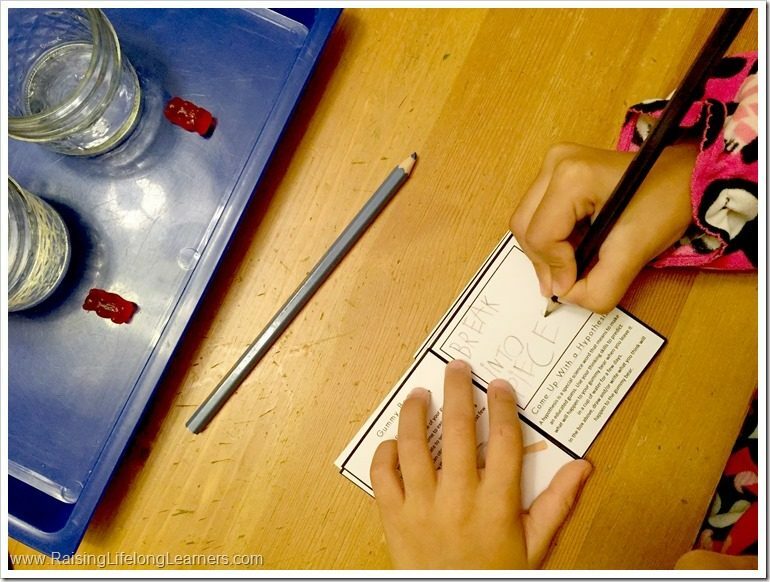 If you decide not to use the journal, just have your kiddo use his or her science notebook or a piece of paper. Give your child one of the gummy bears. Ask him to observe it thoroughly using all of his senses – touch, smell, hearing, sight, and finally taste. Tell him to draw or write about his observations. Have him drop one of the gummy bears into the empty cup. This is the control gummy bear. Explain that the control is the bear that shows what he started with. He’ll use that to compare, and conclude what happened to the other gummy bear at the end of the experiment. Before dropping the third gummy bear into the cup with water, ask your child to write or draw out his hypothesis on paper or in the space provided in the journal. A hypothesis is a guess that makes sense – help your kiddo remember what other things have done when they’ve been placed in water. Logan decided that it would “break into pieces” because other food items she’s put into water have dissolved in the past. Finally, have your child place a gummy bear in each cup – one with water and one without – and draw or write his observations. Then put it up high for a few hours. Have your kiddo pull it back out and check it after two hours, and then again after 24 hours, drawing his observations in his journal. So, what happened? Depending on your kiddo, you can go as in depth as you want. My little one is precocious, and so we share the big words. She has a basic understanding of how plants absorb water and nutrients from the soil. Osmosis. We talked about how the water moved from the glass into the gummy bear through the outer “membrane” of the bear. The bear grew, instead of dissolving because the water molecules moved into it, swelling it up. We’re leaving our gummy bear for a few more days, and keeping the control bear so we can compare the before and after again. What do you think? 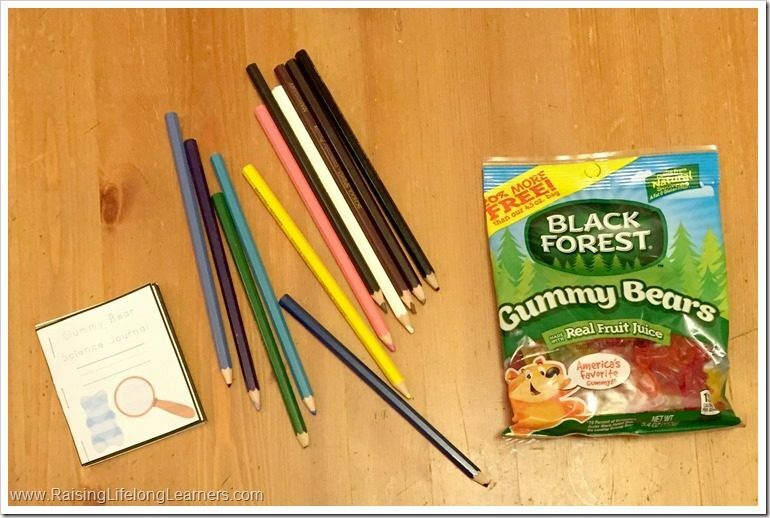 Would your kiddos like to explore some gummy bear science this week? 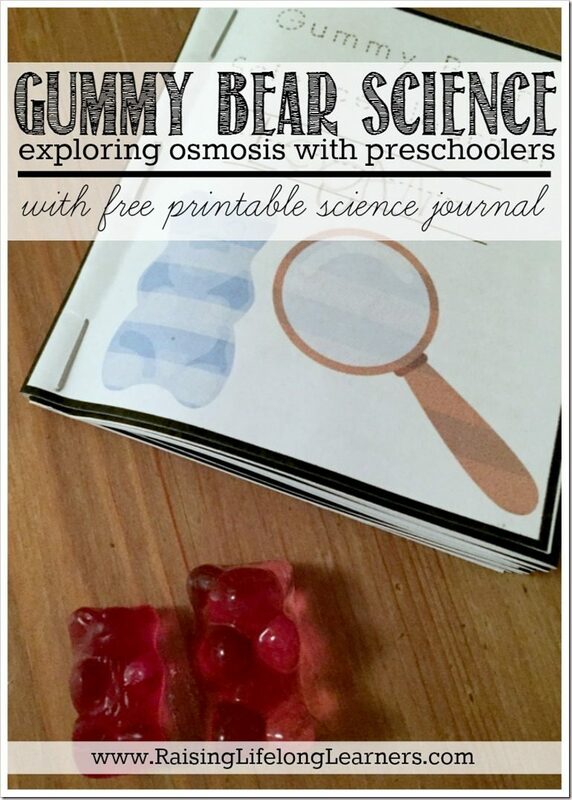 Don’t forget to download your free printable gummy bear science journal – there are extra activity and experiment suggestions at the end in case your child is like mine, and can’t get enough hands-on science. Before you go, check out some of the other super fun preschool learning activities for kids – all featuring a teddy bear theme – from the other amazing educators and bloggers on the ECE (Early Childhood Education) Team. The collective wisdom and creativity is stunning, and you’ll be able to plan a fantastic themed unit each week by visiting everyone on Wednesdays. 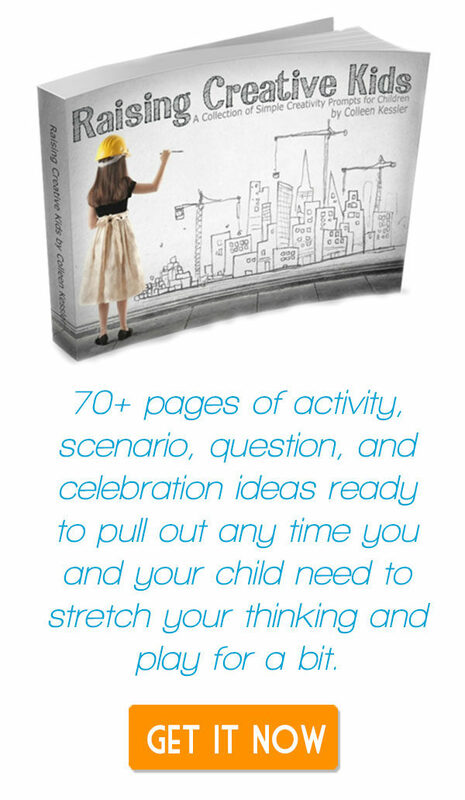 My role is providing great higher-level thinking activities for your gifted preschoolers, but remember asynchrony? 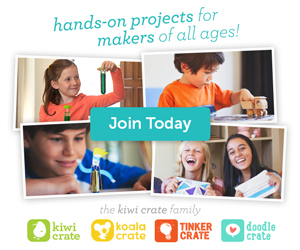 Your gifted preschoolers are still that – preschoolers. Little ones enjoy play-based learning AND stretching their thinking, so pull the resources together for fun and learning at home. 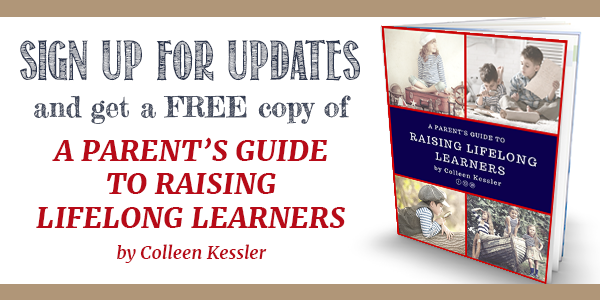 Colleen is an explorer, tinkerer, educator, writer, creator, and a passionate advocate for the needs of gifted and twice-exceptional children. She has a B.S. in elementary education, a M.Ed. 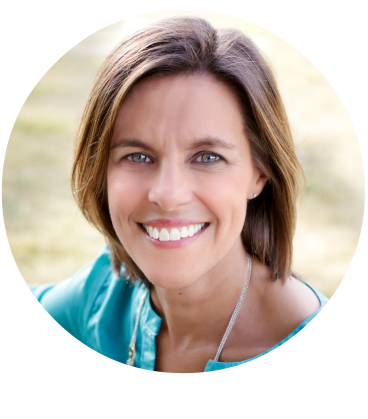 in gifted studies, is a sought-after national speaker and educational consultant, and is the founder of the popular blog and podcast Raising Lifelong Learners, as well as Raising Poppies, a community of support for parents of gifted children. She lives in northeast Ohio with her four bright and quirky kiddos, patient husband, and ever-changing collection of small reptiles, mammals, and insects.